If you are looking for Georgia home loan or a Florida home loan you have come to the right place. Whether this is your first time or you’re a seasoned home buyer, we’re confidant you will learn some valuable pearls of wisdom from our site — an A to Z on the home buying and financing process. First time buyers will find their own informational site and move up or relocation buyers will find all kinds of tips on unique loan products, down payment options, comparison tools and much, much more. We help position home buyers in Georgia and Florida take advantage of the current marketplace. 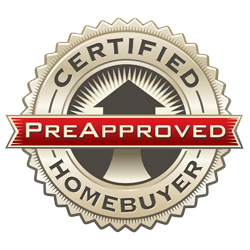 In addition, we educate you about the various options so you can be confident when making that offer to purchase. We work with everything from first-time home buyers, move up buyers, those buying a vacation home and with investors buying rental property. Whether you’re reallocating locally or from outside the area, you owe it to yourself to select the perfect real estate agent that can help you determine the best home for you, one that offers the best combination of commute, schools, and proximity to the recreation activities you desire. There is a real difference when you employ a personal real estate consultant. You and your family will have an advocate and someone you can trust to answer questions. Give us a call and we can refer you to that perfect agent to match your needs.